Workplace violence has emerged as a growing concern in today's interdependent political economy, and increasing attention is being paid to the phenomenon both by business and in the academic world to identifying its causes and to devise strategies to prevent it. In this book a distinguished international team, composed of both academics and practitioners, identify and address the key issues. 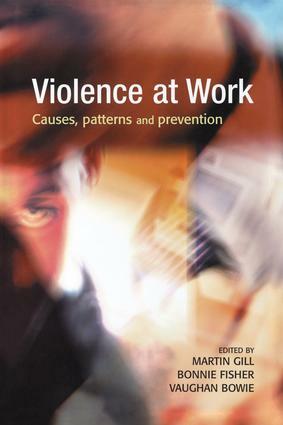 It reviews the earlier literature on workplace violence, identifying and assessing key trends and patterns of violence at work, and reapplying traditional theories of victimisation and approaches to prevention, security and safety. Particular attention is paid to case studies which reflect innovative practice in prevention strategies, and in assessing informal frameworks which have been developed in response to this. Overall this book provides a foundation on which to base ways of better explaining, predicting, understanding and preventing workplace violence. Workplace violence in the USA: are there gender differences?